Featherlite Coaches is regarded as the industry leading Prevost conversion motorhome manufacturer combining the latest manufacturing techniques, with the highest quality materials, meticulous craftsmanship, advanced engineering and yacht quality fit and finish ensuring that a Featherlite Coach is a step above the rest. Contact us today to learn why Featherlite Coaches is the industry leader or click below to learn more. Featherlite Coaches attention to detail shines on the outside of each coach. Every Featherlite receives a unique paint scheme and features custom details that are only found on a Featherlite. Click here to learn about our unique Featherlite exterior touches. 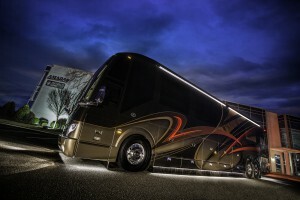 Featherlite Coaches feature breathtaking interiors with the ultimate in luxury and performance. The understated elegance and attention to detail on a Featherlite Coach are unmistakable when you step inside. 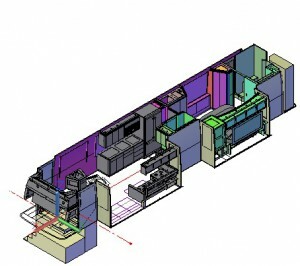 Click to learn more about the Featherlite yacht quality interiors. 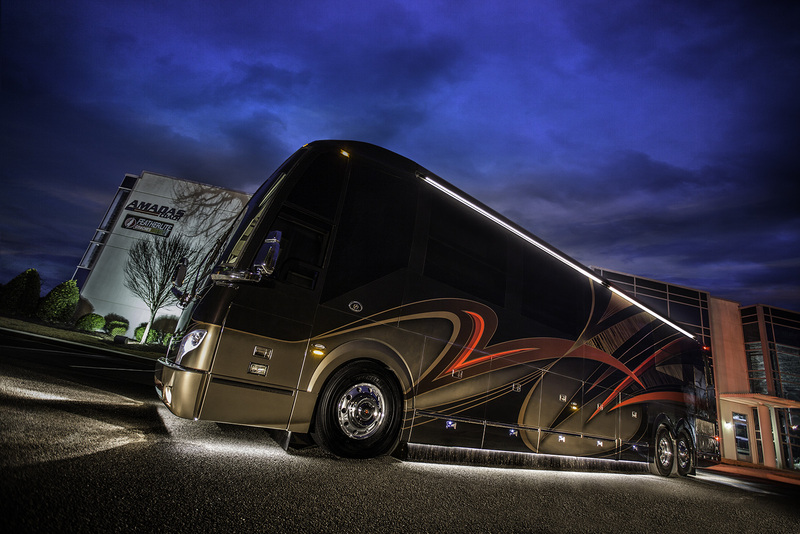 E ach Featherlite Prevost conversion is designed to be beautiful and user-friendly with safety, utility and comfort in mind, which is why we precision tailor each coach in a 3D CAD system. From the interior cabinets and components to the electrical wiring, each aspect is thoughtfully considered before our talented team of artisans begin crafting. Click to discover the advantages. Sometimes what you can’t see is as important as what you can. 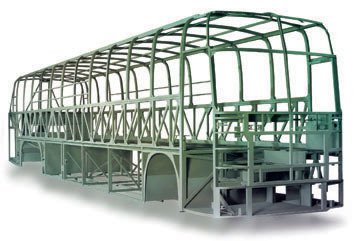 The Prevost bus shell is the strongest, safest and most durable platform in the industry. The foundation of every Featherlite Coach is the Prevost integral stainless steel structure, a welded roll cage style assembly that is the basis of the Prevost bus shell. 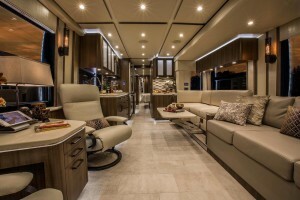 Click here to learn about the substance behind the beautiful interior and exterior of a Featherlite Coach.